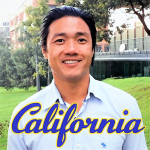 I´m Jon from Los Angeles and graduated from one of the top 40 universities ranked in the world. My B.A. is in cinema and I´ve worked on movies and television shows in Hollywood. I love teaching English to professionals and I am happy to have helped many entrepreneurs, programmers, interviewees, travelers and others achieve their English needs. Speak with confidence as I have a lot of experience in helping you. I am also a T.E.F.L. certified English teacher and graduated from the University of California, San Diego. My previous and current students include professionals who work for Amazon, General Motors, Uber Eats, Red Hat, Tableau, KPMG, Citibank, and other big businesses. About myself, I was born in Los Angeles, California. I am currently in Bogotá, Colombia producing a movie as a personal project here in S. America. My favorite activity is to constantly learn and participate in new activities (e.g. Tai Chi or running for exercise to new places) to develop more satisfaction and wisdom in life. Plus, I enjoy meaningful conversations with others that expand my perspective of the world we live in. Well, please feel free to contact me any time. Thank you for your time and consideration. ∙ Teach English to business professionals who need to conduct work in English. ∙ Practice business presentations and work related conversations with error corrections. ∙ Incorporate professional email writings and native-level listening exercises. ∙ Teach English classes to Spanish speaking students from beginning to advanced levels. ∙ Primary focus was apprehension of English for work practicality (e.g. reading a manual or receiving a product order in English) ∙ Grammar, listening, writing and speaking skills exercised daily. ∙ Write effective lesson plans for specialized job requirements. Meditation for more efficient learning.